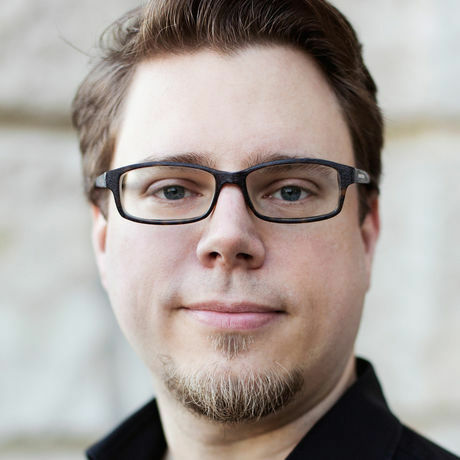 UX lead at MindNode, co-host of CreativeMornings Vienna, host of Kaffee to Stay, and co-host at 3W6 Podcast. Edu Evangelist, UX Crusader & Storyteller. Education; I've been an avid lifelong learner, worked as a teacher for almost a decade and have been studying various forms of pedagogy in the last two years. Design; although my professional background is in visual design, I branched out into the more general user experience design thereafter. Combined with my passion for storytelling, I also delved into game design and all forms of interactive storytelling. Technology; being driven by a strong urge to build things, I never was just content designing them. I'm specialized in mobile stuff (for the intimate experience) from web to iOS Apps to unity games. Deep levels of expertise. Server administration? AI programming? Concept art & illustration? I am a jack of many trades with a surprising depth of knowledge and experience in quite a few, but that still pales in comparison to true experts. Also, I just love to work with, and learn from, people who are better then I am. "You don't have time, you make time." My wife Eva, who is heading a neighborhood community. Because she is so fiercely passionate about actually changing the lives of people for the better. Not on an abstract level, but hands-on, one human live at a time. And maybe Elon Musk, because to me he is among people like Steve Jobs and Jeff Bezos who are our modern day tycoons, singlehandedly shaping the world. I wish it would be time travel, combined with teleportation. Just because it would be so awesome to learn from all the great minds of all the ages directly. In fact, it's more like supernatural pattern recognition — I seem to pick up complex systems rather quickly. I would try to rekindle their inner passion for learning. Though this may take more then five minutes, I'll try anyway just because it's so important. Ali Mahlodji What's the worst thing that can happen? Freedom often tells stories about grandiose failure, getting back up, learning and failing again. My goal as a designer is to make one thing that is great. And I'm not even close yet. I make coffee because it makes me happy. Knowing what the problem is doesn't mean that you know how to solve the problem. I view creativity as the ability to take existing ideas, to merge them together in a new way. Another thing that really keeps me happy is learning. Good design communicates and feels. None of our clients have a content problem. (...) They have a storytelling problem. Innovation is your own path. Just because it worked once for a certain person, does not mean that it will work for you. If you have a clear idea, passion and energy and you follow it, you can make anything.